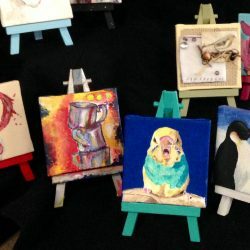 There are so many subject areas that can be integrated into the arts. Math is one of those areas, but our students aren’t always excited to hear about doing math in art class. 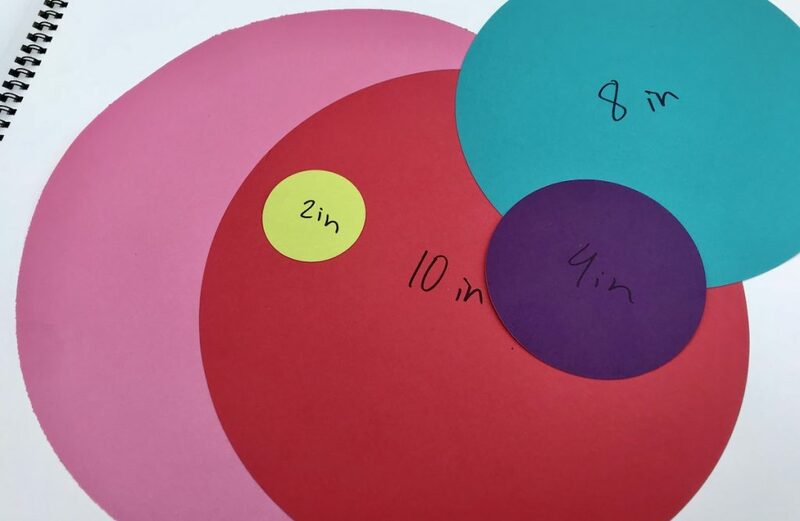 I have a solution that combines color mixing, math, and measurement in a way your students will love! 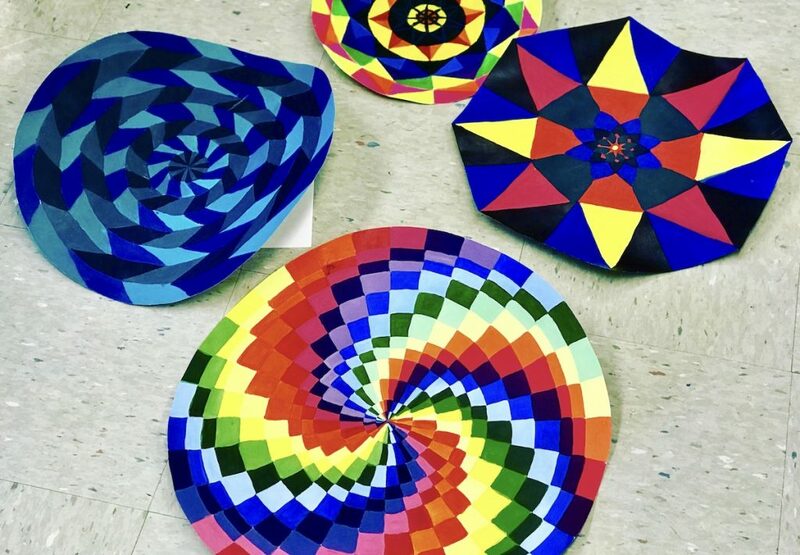 Learn how to create a colorful combination of math and art by inspiring your students with the work of artist Kristin Farr. 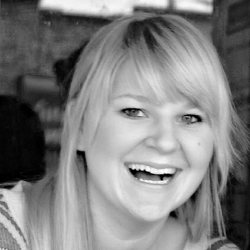 Kristin Farr is a contemporary artist in the Bay Area. Her work is heavily influenced by Pennsylvanian Dutch Folk Art. 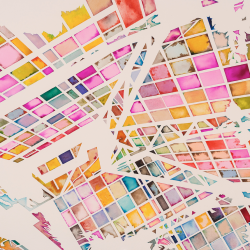 You can see this in her geometric, color-focused paintings. Her large-scale murals intrigue viewers with dynamic color combinations and geometric designs that produce op-art effects. Make sure to share her work with your students as they will be amazed by her colorful inventions. If you’re looking for a way to introduce color mixing with paint, this is the perfect beginning project for your students. You will need the following materials to complete this activity. After students have explored the work of Kristin Farr, have them brainstorm geometric designs they would like to use in their painting. Have your students focus on repetition and symmetry as these will be key components throughout the entire process. After sketching, it’s time to begin the final design on larger paper. Making the outer circle at least twelve inches in diameter will ensure the sections don’t become too small to paint. Before diving in, be sure your students understand how to use a ruler. 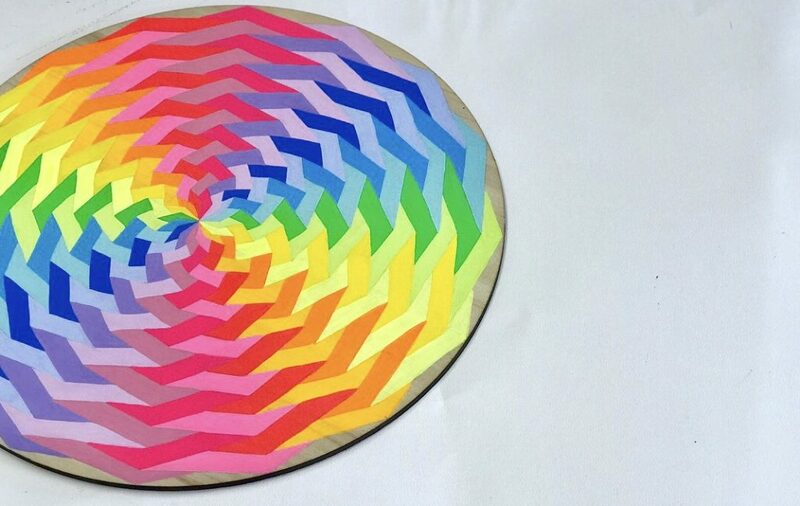 You’ll also want to share various ways to create a perfect circle. Here, you can differentiate methods for students at different levels of proficiency. For example, you may have a set of tracers for some students while others are using compasses. Either way, creating a new circle every one to two inches is ideal. 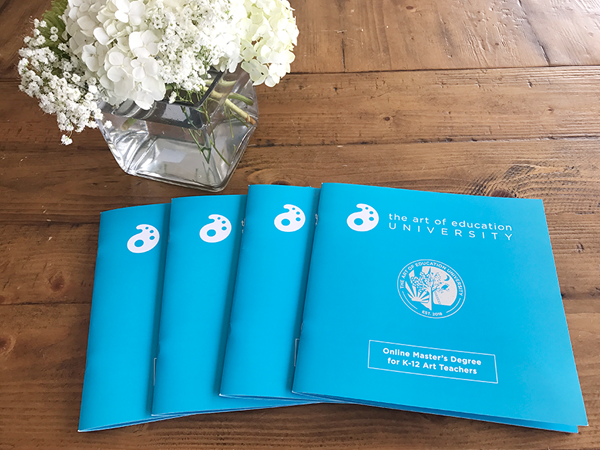 For example, if a student starts with a 12-inch circle, they’d also draw 10-inch, 8-inch, 6-inch, 4-inch, and 2-inch circles inside. It’s important to have students think carefully about the diameter of the outer circle before they begin and how many rings they ultimately want. This will ensure the design is proportional. Finally, encourage your students to start with a diameter that is an even number. This will ensure they’re not having to work with too many fractions when creating their inner circles. 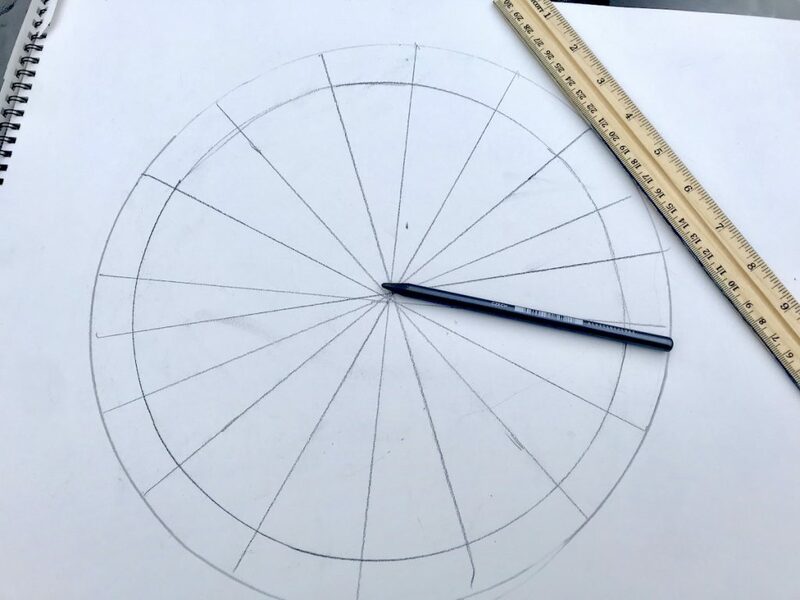 After the concentric circles are drawn, have students divide the drawing into equal sections like a pie. More pie pieces will create a more complicated design. Once the drawing is set up in this way, students can start adding in their geometric designs and patterns. Using the concentric circles and intersecting lines as guides will allow students to create elaborate geometric patterns. Some students will focus on creating designs using the pie pieces as guides and others might focus on the rings. Either approach will be successful and provide a different result. This lesson provides an excellent opportunity for students to explore color mixing. Consider using it to teach students about tints, shades, and color mixing in general. Since students will primarily be focusing on filling in the geometric shapes they have already drawn, more time can be spent on color. Because the geometric designs have the potential to create some interesting illusions color relationships and choices can add to this effect. Infusing math into your art curriculum doesn’t have to be dull. If you need a new way to teach color mixing and the art of using a ruler, give this lesson a try! 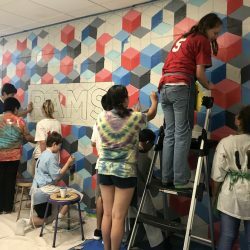 What are your favorite lessons that combine math and art? 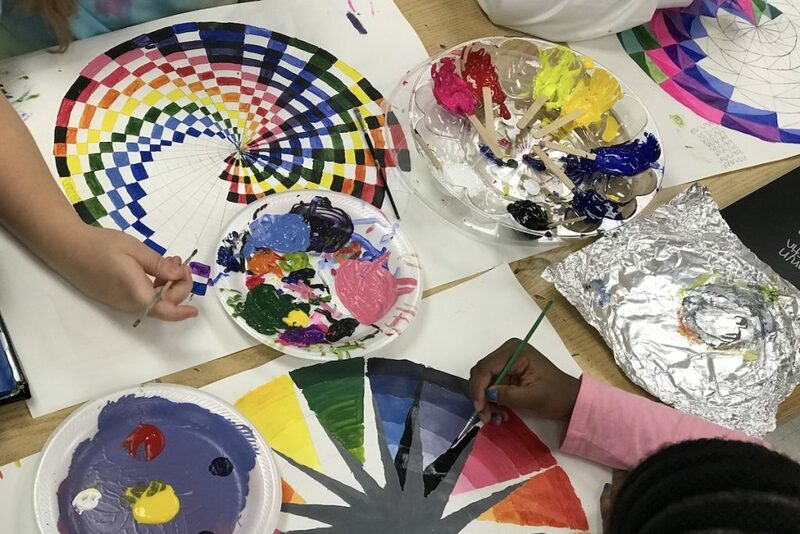 What is your favorite lesson to get your students thinking about color mixing?